EXCLUSIVE! 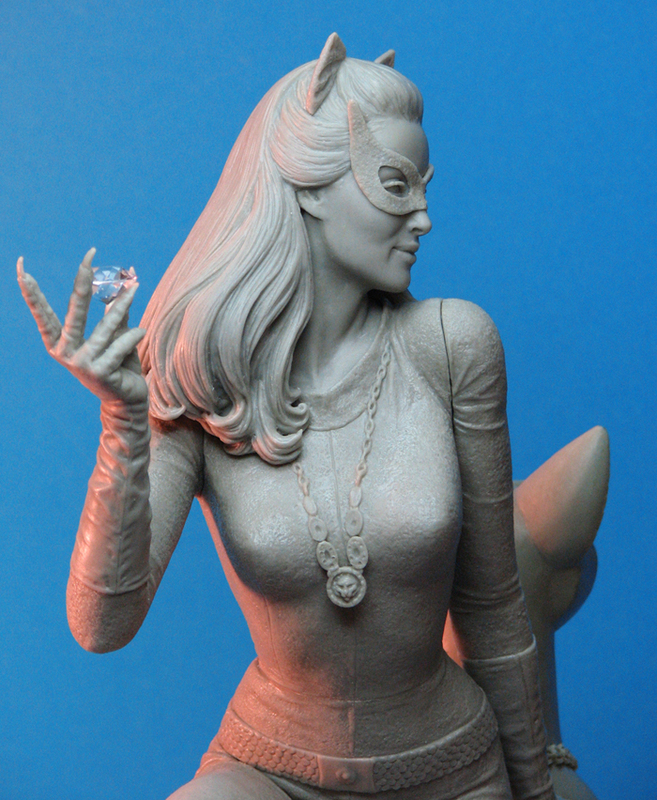 A BATMAN’S HOT-LINE MIGHTY Q&A with Trevor Grove, the sculptor behind the magnificent Catwoman maquette from Tweeterhead! Yesterday, we took you behind the scenes with Tweeterhead‘s chieftain Chad Colebank and Catmuse Julie Newmar! Check it out for the Secret Origin of the project, what else is coming in the line (14 maquettes!) — and how the ordering deadline for the special Emerald Edition is July 27! But here’s how one of the hottest collectibles of the year was actually created! Dan Greenfield: How did you get involved with this? Trevor Grove: I’ve been collaborating with Tweeterhead for about a year now as a sculptor on licenses like Elvira and The Munsters. I love Tweeterhead’s projects and working together has been a very auspicious thing for the both of us. When Chad approached me with Batman ’66, I leapt at the chance to work on it as if the Commissioner himself had requested my aid. To the Batpoles! 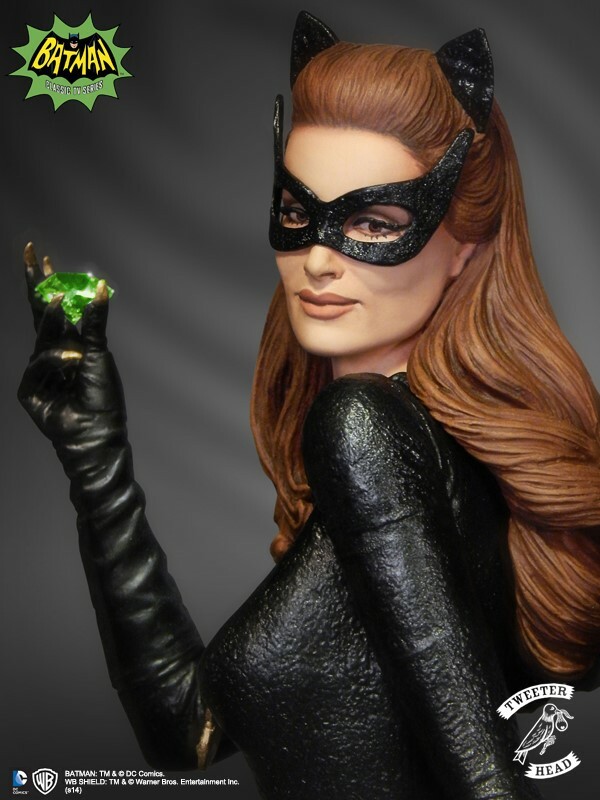 How did you manage to get such a dead-on likeness, both in terms of Julie Newmar’s face and her body? Well, I know its pretty daunting to imagine having to stare at pictures of Julie Newmar for hours and hours on end, but … someone’s gotta do it. In fact, that is how I do pieces like this. I gather as much photo reference as possible to study and help in capturing nuances properly. 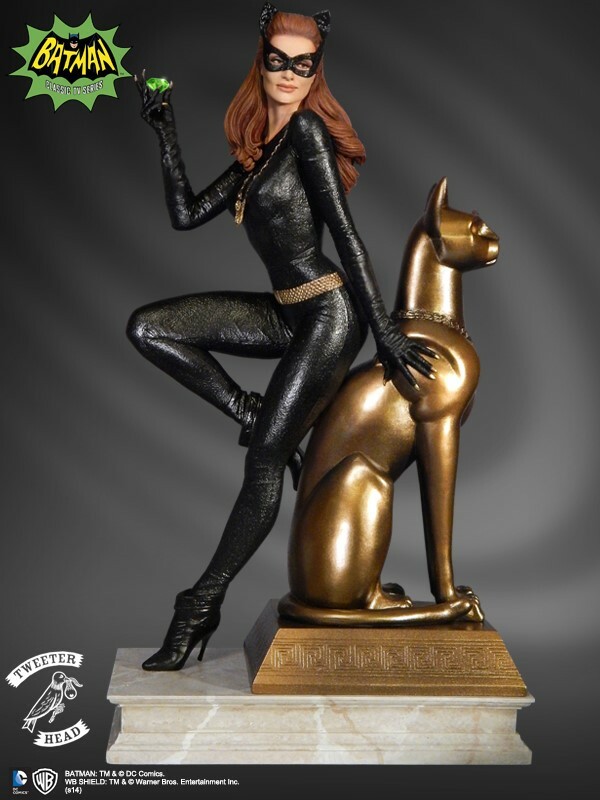 For Catwoman, there was plenty of reference available of Julie. I also like to watch the characters I’m sculpting, and hear their voices and watch their movements, so I turned to enjoying a few episodes of the show while I worked. If they’re alive in my head, and I can imagine their mannerisms while I work, it helps me so much in capturing something faithful in the sculpture. Tell us about how you came up with the pose. I had some great concept art to work from by Joe Allard. Joe works with direction from Chad to design the poses and bases so that everyone can be on the same page before anything has been sculpted. Every project evolves and changes as you move forward, but I feel like I simply interpret the concept art and try to make it work with the character I’m sculpting. Trusting an art director with a great vision for the project is also very helpful, and I have that in Chad for sure. Can you estimate how many hours went into sculpting this? Have you met Julie Newmar, as well? If so, tell us what it was like to have her see you work. I did get to meet Julie while we were working on finishing the sculpture! 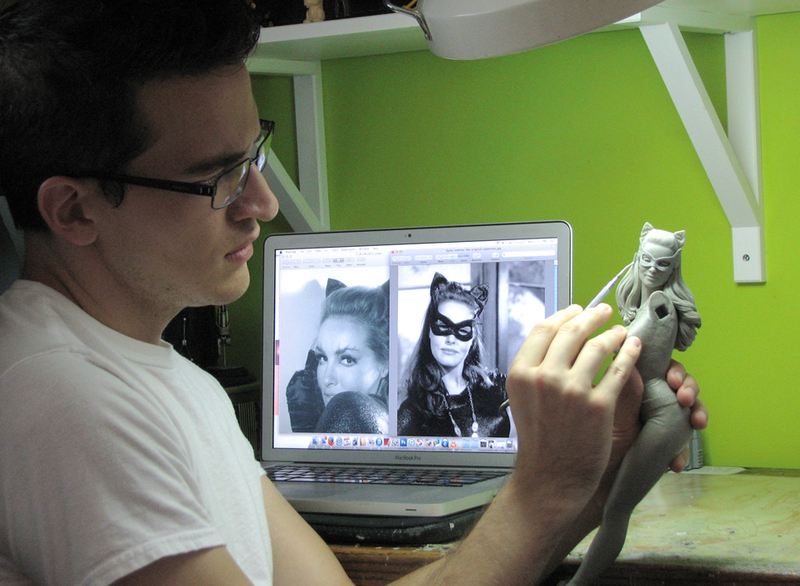 It was such a unique opportunity to present the in-progress piece to her and get her impressions and help in fine-tuning the sculpture into something faithful to her Catwoman. It was a real highlight in my career to get to such a gracious reception from Julie and have our work understood and appreciated. I had a lot of fun finishing the piece after our meeting, and I like to think the good energy from it all influenced the outcome of the piece. I’m very grateful to Chad for making that possible and inviting me along. 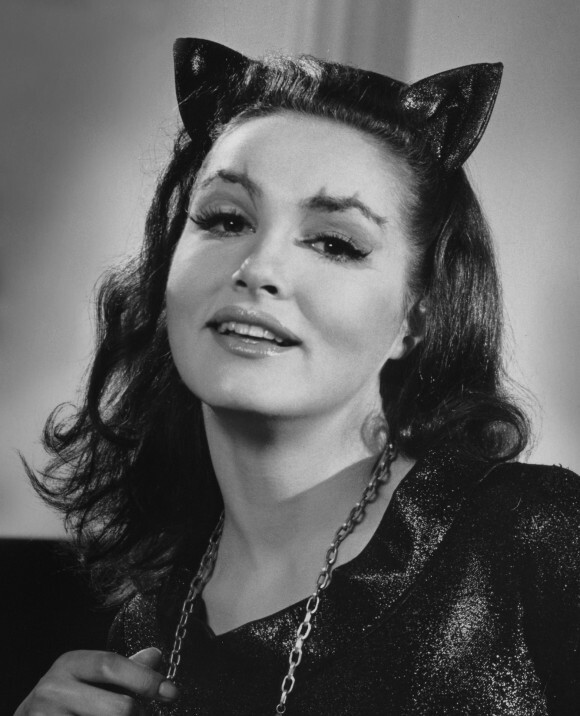 The original, one and only Miss Julie Newmar. OK, then, so what’s your fave Batman ’66 episode? Now that’s a difficult question. I find them all very fun, so I can’t say I have a favorite, honestly. I remember the first time I saw anything Batman ’66 was on TV Land years ago. I’ve only just recently started seeing episodes I hadn’t before, and I am very much looking forward to the DVD release!